A colour photograph of the Jabez Lynde House at Cullen Gardens and Miniature Village before it was refurbished. 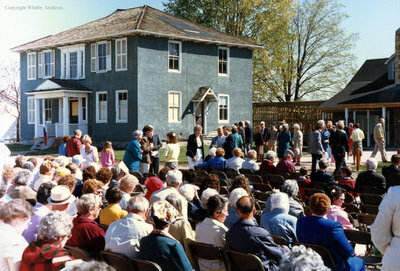 Jabez Lynde House at Cullen Gardens, August 1986, Photographer Unknown. Whitby Archives A2013_042_039.